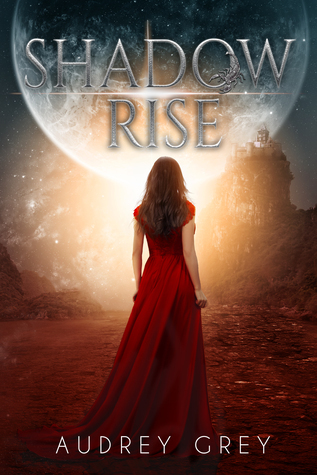 This week on WoW is Shadow Rise by Audrey Grey. Once again (it seems like a tradition now) I still haven't read the first book, Shadow Fall, even though I've it. 🙈 Anyway, although I've heard some blurb about a love triangle (which I can't stand since most times the main character's feeble heart annoys me to no end), I'm still excited for this series. I always enjoy a good dystopia and I've read wonderful things about this one. Hopefully, my expectations aren't too high. The book will be released on November 14th. Only problem is, first she has defeat the reigning champion, someone she knows all too well. Will Maia’s emotions lead to her defeat, or will she rise up and claim her victory"
You've got me kind of scared with the whole love triangle comment but I hope you love this when you get to it...and that the triangle doesn't annoy you too much. I was also scared when I learned this series has a love triangle. I'm probably still scared since the synopsis seem so intriguing and I fear the love triangle will ruin my reading experience. YES!!! I cannot wait to get my hands on this book. Loved Shadow Fall. Not too much longer to wait for this one right? I think I need to reread the first book soon. Hope you enjoy it! Oooh! This sounds like an awesome book! Great pick! I don't mind a love triangle sometimes, depends on the why behind it I guess. But this sounds really good, and I will have to check out the first book too. Great pick. The reason why I can't stand love triangles is because it is an overused trope in YA fiction. And many times the MC's flickering emotions harm the plot. However, I'm still giving this series a chance because I love a good dystopia and this one has been receiving raving reviews. I'm not mad on love triangles, but the rest of this looks SO good! Thanks for sharing. I hope you get to read it soon :) And thanks for visiting my WOW earlier! If the rest didn't look so good, I probably wouldn't give this series a chance after learning about the love triangle. Love triangles just make me cringe! This one looks really good! Adding it to my TBR right now. This really sounds wonderful and I love the cover! I haven't read the first book either but man, the covers are absolutely gorgeous! I do like the sounds of the books and I hope you enjoy them! This is new to me, but wow it sounds good! And the cover is really eye catching, thanks for sharing! It also reminds me of The Hunger Games which is one of my favourite dystopias (three novels? Not enough). And, I think the main reason why I'm giving this series a chance, even though there is a love triangle, it is because of the similarities with The Hunger Games. I can see why you would want to read this one. I want to now too! You had me at the description. I hope you end up loving it when you read it! have a great week! I hope you end up loving this series too if you end up reading it.